so for the few of you that have seen my vim setup, here is a list of some of the plugins i use and a link to my vimrc file for all to use. 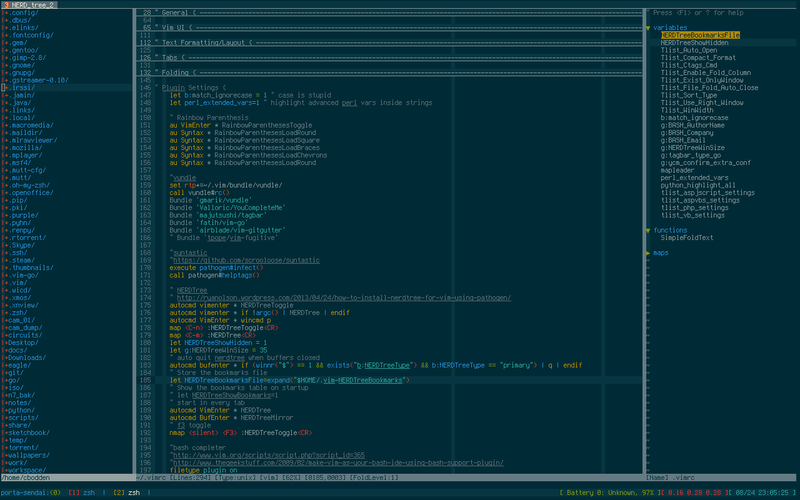 I use the Solarized Dark color scheme. I will update this accordingly when either i feel like it or remember.